Professional nurses are needed to care for patients at all levels. Beyond the routine care, registered nurses can prepare themselves through graduate nursing programs to meet the demand for skilled practitioners. The masters of science in nursing prepares students for national certification in a specialty area. Graduates are able to administer anesthesia, provide primary to patients in rural areas, or treat psychiatric illnesses based on the area of practice. 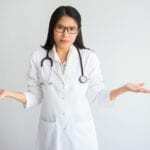 Lack of resources in the education of nurses, demand for competent caregivers in primary care, and a call for higher standards in health care influence the ongoing demand for nurses trained at a higher level. Data from the U.S. Bureau of Labor Statistics reveals that the advanced practice nursing workforce is expected to increase by 31 percent between 2014 to 2024 to meet the rising demand of the nation’s aging population. The projection does not account for the number of nurses that will be needed to replace current workers who retire. The MSN degree not only prepares nurses for advanced practice but also positions them more competitively. Economic uncertainty has experienced nurses scrambling for entry-level jobs that are better-suited to new baccalaureate and associate degree graduates. As a consequence, nurses finishing these degrees might have a harder time finding open positions to gain valuable experience. The short supply of primary care physicians affects residents in rural areas who have to travel long distances to address their health concerns. Increasing the advanced practice workforce, particularly nurse practitioners, will help relieve the burden that the physician shortage has on the health care system. The development of nurses who are capable of providing primary care continues to outpace workforce of primary care physician. Therefore, nurses who hold the MSN or DNP degree could fill a major gap in primary care services. Every year nursing schools turn away thousands of qualified applicants due to a shortage of faculty and resources. MSN graduates can choose to teach the next generation of nurses on a full-time or part-time basis to help produce professionals who are capable of filling the demands in health care. The Master of Science in Nursing program prepares students with the knowledge and competencies to become highly qualified in a specific specialty. Upon completion of the program, they can take a national certification exam and apply for state certification to provide exceptional care in a clinical setting or educate and lead other nursing professionals. Michigan’s universities offer the program in an online format to meet the needs of practicing registered nurses who may have varying educational and professional backgrounds. Part-time and full-time schedules are available based on the area of concentration. Comprehensive knowledge-based courses will be integrated with hands-on learning experiences to produce graduates who are capable of functioning in a real-world setting. The curriculum will incorporate several clinical practicums conducted under the supervision and mentorship of an experienced member of faculty. MSN students have a unique opportunity to collaborate and learn from professionals who are at the forefront of their specialty. They support, guide and mentor students to realize their professional goals. Opportunities to participate in groundbreaking research projects will provide valuable preparation for practice. Course topics vary, but generalist courses include applied statistics for health professions, leadership roles in complex systems, health care systems, theoretical perspectives in nursing clinical pharmacology, advanced pathophysiology, quality improvement and performance, and nursing research and evidenced-based practice. Nurses who successfully complete the program are clinical experts and leaders in their area of practice and population focus. They will be capable of accessing and translating evidence to optimize health care delivery and outcomes. With their leadership knowledge and skills, graduate nurses will function as a part of the interdisciplinary team to develop solutions to complex health care problems. The MSN curriculum provides an excellent foundation for nurses who decide to move on to the Doctor of Nursing Practice. Many programs are limited to registered nurses prepared at the masters level and seek to help nurses further their leadership skills as they pursue a terminal degree in nursing. RN to MSN: The RN-MSN program is designed for nurses who hold a diploma or associate degree to follow an accelerated plan of study to obtain a Master of Science in Nursing for specialty certification. Some schools require students to complete the RN-BSN pathway before proceeding to the MSN. Nurses who earned a cumulative GPA of 3.5 or higher at the associate degree level may apply for exempt status. Direct Entry MSN: The direct entry program is open to registered nurses who hold a baccalaureate degree in nursing and wish to pursue graduate education and develop the clinical competency to deliver primary care to the diverse population. Students learn the principles and gain the competencies to transform healthcare through the application of their leadership, technological and collaborative skills to improve outcomes. Post-Master’s Certificate: The Post Master’s certificate program caters to students who have earned a master’s degree in nursing and want to gain the specialized training to prepare for national certification in another specialty. Most programs allow flexible online coursework combined with practical hands-on clinical experiences where students care for patients under the supervision and mentorship of experienced nurses. Graduates will be eligible to sit for the respective exam. Applicants must have an MSN with a specialty focus in advanced practice and a BSN from an accredited institution. Submit official transcripts from every college or university attended. The transcripts must be sent directly to the university. Submit letters of recommendation. Check the graduate program for specific requirements regarding the recommendation. Submit an essay if required. Contact an admissions counselor to find out more. 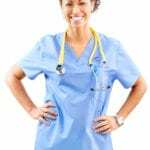 Submit documentation of licensure as a registered nurse. Applicants who plan to practice as an advanced practice nurse must submit an application for licensure with the appropriate fee and supporting documents to the Board of Nursing. The Board of Nursing will issue a nurse specialty certification to an individual who holds a current license as a Michigan Registered Nurse and meets the state certification requirements. All applicants for registered nurse licensure must undergo a criminal background check and provide evidence of fingerprint processing from an authorized agency. Fill out Section I of the Nurse Anesthetist Specialty Certification form. Answer the personal data questions. Submit a detailed explanation on a separate sheet if you answer “yes” to any questions. Your application will be considered incomplete if you answer “yes” and do not provide this information. Sign and date the application indicating that you read and understood the certification section. Forward the form to the American Association of Nurse Anesthetists Council or Certification or Council on Recertification of Nurse Anesthetist to have Section II completed as verification of your current certification. The certifying agency must mail the completed form directly to the Michigan Board of Nursing. The certifying agency may also send the form electronically via email to [email protected]. The email must arrive directly from the certifying agency. Mail the application fee to the Board. Make check or money order payable to the State of Michigan. The fee is $52 if your RN license expires in 13-24 months, $38 if it expires in 5-12 months, or $52 if it expires in 0-4 months. Contact an approved agency, within 7 to 10 days after submitting your application, to undergo fingerprinting for a Criminal Background Check. Fill out Section I of the Nurse Midwife Specialty Certification form. Forward the form to the Midwifery Certification Board to have Section II completed as verification of your current certification. The certifying agency must mail the completed form directly to the Michigan Board of Nursing. Fill out Section I of the Nurse Practitioner Specialty Certification form. Forward the form to the appropriate agency to have Section II completed as verification of your current certification. The certifying agency must mail the completed form directly to the Michigan Board of Nursing. Applicants will remain valid for two years from the date the Michigan Board of Nursing receives. If you do not complete the requirements for licensure within the two-year timeframe, the application will become invalid. The application process takes approximately 6 weeks from the date it is received by the Michigan Board of Nursing. The APRN certification expires every two years. The Board of Nursing will mail a renewal notice 6 to 8 weeks prior to your license expiration date. It will detail instructions for renewing the license online. Renewal of the nursing specialty certification is different from the renewal of the RN license. Nurse anesthetists must obtain recertification from the Council on Recertification of Nurse Anesthetists. Nurse midwives must have completed the American Midwifery Certification Board (AMCB) continuing competency assistant if certified prior to 1996 or if initially certified after 1996, AMCB continuing competency assessment or 20 continuing education units in the nursing specialty field. Nurse practitioners must obtain national recertification or maintain national certification.